The BBC has announced a further round of cuts, including a reduction in the budget for BBC News and Sport and a proposed closure of the BBC's Red Button service. The cuts have been blamed on a £150m hole in finances caused by the so-called "iPlayer loophole", where viewers avoid the licence fee by watching BBC programmes online. Although the loophole is due to be closed during the next BBC Charter period, the BBC has also got to deliver further savings in the next five years due to taking on the cost of over 75s TV licences at the end of the decade, and must identify another £550 million of savings to be made by 2021/2022, with a further announcement expected in the spring. c.£25 million will come from reducing back office and professional support services. c.£10 million from reducing management layers in content areas. Discussions are now beginning with those affected. £35 million will be saved from the BBC’s TV sports rights budget. 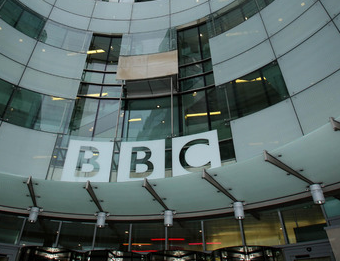 A further £12 million will come from the BBC’s TV budget. Drama will be protected. This will mean some reductions to factual, comedy and entertainment. Savings from The Voice UK (moving to ITV) will be used to develop new, home-grown formats. “The BBC has and is doing everything possible to make sure the impact on the public is minimised. Wherever possible we’re targeting savings by creating a simpler, leaner BBC. I cant imagine the "traditional" Red Button (text news / sport) costs much - like it says in the article, the stories are lifted directly from BBC News / Sports online. Perhaps the Red Button+ service is being closed in favor of the BBC News and BBC Sports apps, available on YouView and other connected TV's. Further details have now been released/confirmed by the BBC and are now posted above. Alas neither my TV (2014 Sony range) nor my Freeview PVR support connected Red Button. Well that's the end of red button for me then, I'm not buying new kit for one or two programmes a year I've watched on Red Button channels. Tony Hall says there is no alternative. But there is - a properly funded BBC with a decent licence fee. I don't want reductions in Factual programming. My parents neither want nor need their free TV licence, and it was a Gordon Brown give away anyway. Just get rid of the free licence for over 75s, it's only been around for about a decade. It seems people have short memories. The BBC is purely an old boy's club David... A publically-funded toy for the rich kids; their going head-to-head with commercial TV is all about self-serving egos. They've been ****ing public money up the wall for decades. - Mainly on talentless public-school wasters. - Long time since they employed the best; merely the well-connected! Personally I've ZERO confidence in their will to develop home-grown talent; and I say that as someone who's spend 35 years working in TV, including a dozen lecturing in TV production. - It high time they were returned to the real world and learned their place in it!